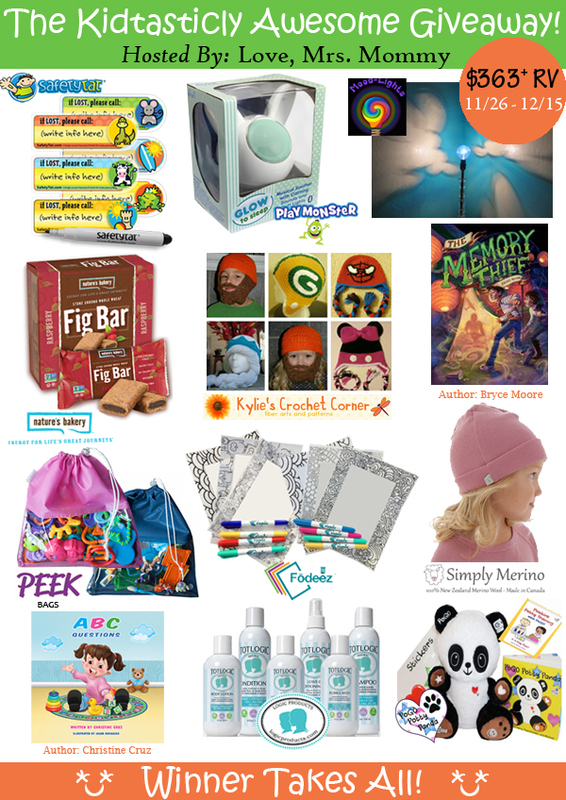 It is out pleasure to be promoting this great giveaway with a great group of bloggers to bring you The Kidtasically Aweseome Giveaway with 12 wonderful children's products; one lucky winner wins them all! Nature’s Bakery is a snacks and food brand that supports health conscious living and active lifestyles, with their 4 pinnacles of achieving balance - nature, activity, nutrition and community. They lead with delicious, thoughtfully crafted ingredients that are perfect for on-the-go snacks that people can feel better about eating. They take that extra step to create foods that are Non-GMO Project Verified, Vegan and Kosher Certified, because they care. Proudly, they offer a delicious family of Stone Ground Whole Wheat Fig Bars, Gluten Free Ancient Grains Fig Bars and Double Chocolate Brownie bars that everyone can enjoy and benefit from. Winner will receive Six 6-packs of Fig Bars (flavors of their choosing), a Nature’s Bakery Big Truck Hat, Camelbak Waterbottle, and Lanyard! A $64 RV!